The Year of Children’s and Youth Culture ME TOO! The Ministry of Culture appointed the Estonian Children’s Literature Centre to implement the Year of Children’s and Youth Culture, since we are involved with children’s literature – one of the corner stones of children’s culture – on a daily basis. Above all, this year provided an occasion to take a wider view of Estonian children’s culture – of what our children’s culture is like, of what kind of cultural events and experiences are being offered to children, whether they are accessible to them, and what the children themselves do. This year’s motto ’Me too!’ carried the message: don’t leave children out, notice and pay attention to them, listen to them, involve children in your activities and give them the opportunity to create. The implementation of the theme year was primarily a large cooperation project; thanks to this, the programme was filled with larger and smaller events which were intended for or initiated by children. The year showed that our children and youth are creative and active, they are bright, curious and full of initiative and courage. We merely create more chances for them to fulfil themselves. The Estonian children’s survey ’Me too!’ As part of the theme year, we carried out a survey for Estonian children together with the Estonian Institute to find out what our children are like, how an Estonian child grows up, what he or she does and what he or she enjoys. 4,400 children between the ages of 7-12 took part in the survey, among which were 346 children from abroad. In the survey, we also enquired about the children’s thoughts about books and reading, and asked about favourite books. That list became delightfully long. The children mentioned nearly 800 different titles, among which were classics as well as new books. The children’s big favourite is still Astrid Lindgren, but next to her is a whole heap of other favourites from Estonia as well as other countries. As a result of the survey, the Estonian Institute published the book Estonian Child ̶ Mild and Wild, with texts by Kätlin Vainola and illustrations by Ulla Saar. The children’s culture forum KULTUURIPAUN (THE CULTURE POUCH) became reality. Thanks to cooperation with the Nordic Council of Ministers, our longtime wish was fulfilled to speak about these countries’ strategies and programmes for children’s culture, and consider if and what we could take over from there. This turned into an inspirational and educational day for many people involved with children’s culture. During the summer months, the experience tour the Children’s Republic travelled across Estonia. We have all spent the past few years awaiting the Republic of Estonia’s big birthday. Such big jubilee years call for special celebrations; this is how, already two years ago, the thought was born of celebrating Estonia’s 100th birthday together with many partners and Estonia’s children, and arranging the experience tour the Children’s Republic. 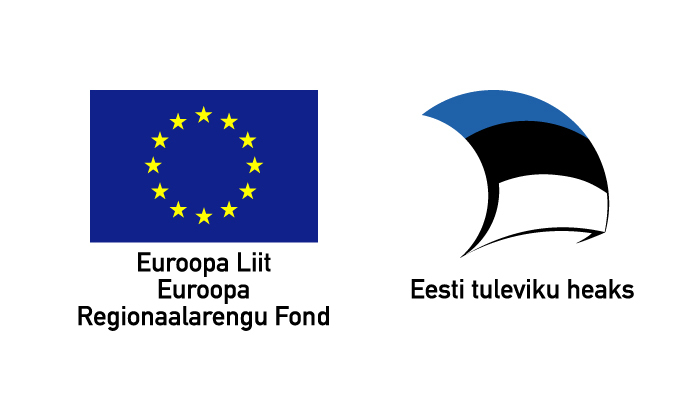 There are many institutions in Estonia which create interesting programmes and activities for children daily: museums, centres, libraries, theatres, and others. We invited them along to the tour and to contribute to the Children’s Republic. We carried out this undertaking in cooperation with the best creative and production teams in their field, and more than 200 partner organisations. The Children’s Republic’s stage saw the play The Best Gift performed 75 times, and 1,980 local children and youth performed. Nearly 400 volunteers also contributed. 254 workshops were held with the help of museums and experience centres, and adults and children alike enjoyed the unique labyrinth‑play area in spite of the weather. More than 30,000 people took part in the tour, which visited all counties. This summer proved that it is possible to play in all kinds of weather, and that the spirit of cooperation helps create large and important undertakings. Focus was on the development of foreign relations. For close to five years, we have been preparing to be main guests at the London Book Fair in April 2018 and to present Estonian children’s literature in a worthy manner. We have taken active part at fairs abroad and looked to create contacts in other countries, introducing our authors and their work to translators and foreign publishers. This purposeful work has begun to carry its first fruits. In the last few years, Estonian children’s literature has been translated into more than 20 languages, and our authors have been given opportunities to present at festivals abroad and at international literary events. This year, they met audiences in London, Helsinki, Berlin, Gothenburg and New York. One of the most special and interesting undertakings in 2017 was the project ’Pop Up’ for young illustrators, which brought together youth from Estonia, Latvia, Lithuania and the United Kingdom and professional illustrators. Our artists advised the British youth, and the British illustrators advised our students. As a result of this, a folded book – a leporello – created by the 155 youth will be published. These books will be on display at the 2018 London Book Fair, and after that in all partner countries as well. This year, researchers of children’s literature were mostly drawn to history in children’s literature. The traditional seminar ’The Child in Literature’ and the Tartu Original Children’s Literature Day saw discussions about how history preserves itself in children’s books. We also did substantial work in creating a compilation on the best of Estonian children’s books. The book will be published for the Republic of Estonia’s 100th birthday in the autumn of 2018. In 2017, we brought home excellent illustration art yet again. In November, the Tallinn illustration triennial ’The Power of the Picture’ took place for the fifth time. Traditionally, artists from the countries around the Baltic Sea take part in the triennial, but this time we opened the door to visitors from further afar as well. The works of Spanish, Italian, Iranian and Belarusian illustrators were selected by the exhibition’s curator and displayed. The triennial was grand and voluminous, the exhibition featured more than 200 pictures by 74 authors. 2017 was a year not only rich in events, but also in books. Several creative competitions brought forth new and interesting authors. The Estonian children’s book is gradually beginning to move out of the frames of tradition, becoming all the bolder and more interesting in terms of theme, titles and form. Because of this, this year’s competition was rather crowded for more original and special children’s books. This time, we decided to award the Raisin of the Year to the knowledge book Füübits, created by Heli Lukner, Mare Müürsepp and Angelika Schneider. Rather few original books on this theme are published in Estonia , and the majority are still translations. Füübits, however, was a complete surprise – pithy and rich in facts, with an interesting and dynamic pictorial language, suitable for the age group and inviting curiosity; in our opinion, this book has everything that could lead a young as well as an older reader into the world of physics. Next to professionalism, one of the Estonian Children’s Literature Centre’s most important values is cooperativeness. We are convinced that one doesn’t get far struggling on one’s own ̶ and this year has certainly confirmed this. We are glad and thankful to have so many friends, supporters and participants. Thank you all for this rich and exciting year! With a combination of traditional and new activities for the Estonian Children’s Literature Centre, the year 2015 was both active and eventful. There were 38,906 visitors to the Centre and we are happy to say this indicates that the number of visitors has been increasing over the last few years. The mission of the Centre has not changed – the Centre continues to direct children to books, help children find values inherent in books and highlights the joy of reading. We believe that children’s reading material dictates a child’s ability and interest in reading, assists one’s linguistic and cultural development and certainly also influences a child’s understanding and attitude towards one’s surroundings. Children’s interest in books and reading rests on three pillars: firstly, the choice and quality of books; secondly, the availability of books; and thirdly, how adults value books and reading, so that they can positively influence children’s interest in books. It is gratifying that lots of children’s books are still published and the choice is varied. Some books surprise, others frighten; some are beautiful, others expressionless. Books by old masters show their proven quality and there are experimentations by young authors. Currently, there is no single leading author of children’s books, but many authors of different ages each with their own unique style. Throughout the year, over 70 authors published children’s books including around 20 new authors. A bookshelf that gives the reader a wide and varied choice is good, but at the same time it creates difficulty understanding what is available and which book is truly the right one for a given reader. The Children’s Literature Centre has initiated many recognitions and awards that guide people towards good, high-quality children’s books. This year, the recognition sign “Estonian Children’s Literature Centre recommends!” was created. The sign is used by major book stores. This year creative competitions once again played a role in enhancing the choice of children’s literature. For the seventh time the publisher Tänapäev and Täheke magazine jointly held the competition for children’s stories. Eleven years have passed since the first competition. A total of 260 manuscripts have participated in the competition, of which 40 have been published as books. This year’s competition had 38 manuscript submissions. In November The Knee-High Book Competition, in collaboration with the publisher Päike ja Pilv, reached its culmination, providing many new and exciting manuscripts for the youngest of readers. In the new year we look forward to the manuscripts being born as books. In the year 2015, a new baby book appeared. This is the third book of its kind, since the idea first appeared. Almost ten years ago, the tradition of every child born in Estonia receiving a book as a gift was started by the Children’s Literature Centre with the book Minu esimene raamat (My First Book). The new baby book has the title Pisike Puu (Little Tree) which comes from the lead poem of the book by the same name, written by Ott Arder. The idea of the book is to value the birth of every child in Estonia, offer the family joy of reading and underline the importance of our domestic children’s literature. The book contains poetry and stories from well-known and beloved children’s book authors which are brought together into a beautiful entity using illustrations by the artist Catherine Zarip. The venture was financed by the Estonian Ministry of Culture and the books are available to families through public libraries. The capacity in joint efforts was proven by many undertakings this year in which we had the good fortune of participating. Over ten years ago, the workgroup of children’s literature researchers was established and the scope and contents of its activities shows that the group is no longer in its infancy. A wide range of children’s literature related research has appeared in publications, augmented this year by the sixth volume in a series of publications. In collaboration with the Under and Tuglas Literature Centre, the foundation has been laid for a seminar series entitled “Children in Literature”. School life has been made more interesting with cooperation between the Centre and several of Tallinn’s museums. The projects “8 at Once” and “Clear and Straightforward” were initiated. Real school days, amidst real things for the grade 4 level were created in several museums and centres. We concluded that such active learning outside the classroom provided children with lots to discover and shows the connection between school and real life. Based on the same concept, the children’s city camp “8 at Once” has been created. The children’s programme of the literature festival “HeadRead 2015” was very international, offering young readers the opportunity to meet five well-known and highly recognised authors. In cooperation with the Estonian Reading Association, we had the pleasure of informing parents about children’s knowledge on reading. Throughout the year active participation in various training courses offered practical recommendations on how to awaken and support children’s interest in reading. We already await the annual event, the Tallinn Book Fair. This year we were pleased to enrich the children’s part of the fair with our programme and to stage the state-wide literature game finals at the fair. Now and then, the opinion has surfaced that if musicians come from music school, artists from art schools, athletes from sport schools, why should authors come from who knows where? To change the situation, young authors started attending the Centre’s creative writing circle. It was also a year for world conquering. The exhibition year was beyond doubt grandiose, as four big touring international exhibitions were organised. The year started by opening the overview exhibition of Estonian illustrators in Moscow. In the spring, together with Hungarians, the joint exhibition Crisscross Stories was opened in London which was the first exhibition of Estonian illustrators in England. Prior to London, the exhibition toured around Hungary for a year. In May we started the exhibition of Estonian children’s book illustrators “Once upon a time…” (C’era una volta…) in Italy. This was the first time Estonian illustrations received such widespread and thorough presentation in Italy. This year, the exhibition has been on display in seven cities and the tour continues next year. Public response has been surprisingly large and for that our sincere thanks go to our contact person in Italy, Ülle Toode. The exhibition of illustrations “Sea Fairy Tales” started sailing around Denmark on the sailing ship M/S Bibiana, devoted to children’s culture. In the coming years, the ship will visit 30 Danish ports, offering children a rich hands-on cultural programme. In the fall we invited everybody to the Centre to drink tea and enjoy the exhibit “It’s Always Tea-Time”, which was inspired by the well-known Lewis Carroll book “Alice’s Adventures in Wonderland”. The curator of the exhibition, Viive Noor, invited her artist friends worldwide to drink tea with Alice. The invitation was accepted by 72 artists from 19 countries. In December, illustrations started a world tour, beginning with Latvia. The illustrations will continue to Finland, Poland, Germany, Hungary and Russia. Estonian children’s authors received international recognition. This year the White Raven’s catalogue of the 200 best children’s books included Kristi Kangilaski’s Tuvi ei taha saia (Tiu and the Dove) and Andrus Kivirähk’s Suur Tõll (Big Toell). Additionally, Estonia was represented in the Hungarian exhibition, as Péter Dóka’s book The Violet Princess was illustrated by Anne Pikkov. Good news reached us from Latvia as Aino Pervik, along with translator Maima Grīnberga, received the Janis Baltvilks award for the book Presidendilood (Stories of a President). In 2015 the Children’s Literature Centre itself received recognition. At the awards gala “Estonia Studies and Thanks” for Teacher of the Year, the Estonian Children’s Literature Centre was named a finalist for the title “Education Friend of the Year”. Additionally, for the Special Libraries Deed of the Year in 2014, the Estonian Librarians Association chose the Children’s Literature Centre’s initiative which delivered book carousels to all the children’s departments in Estonian hospitals. The year 2014 is history. What kind of a year was it? In the wider world, it was tumultuous and full of conflict; in our own little world, luckily, it was more balanced and cheerful. The year provided a great deal of books and reading enjoyment. Beautiful books rich in content that were penned by both newcomers and old masters were published; both originals and translations. Altogether, the count was nearly so high that one could have read through or browsed at least a couple of new children’s books every day. Several creative competitions contributed to this. The 2013 Knee-High Book Competition brought with it small children’s picture books thanks to publisher Päike ja Pilv. Winning entries in the children’s story competition that wrapped up in spring became books in cooperation with publisher Tänapäev and children’s magazine Täheke, and winners of a competition for young-adult books were awarded in September. We could not be prouder of the fact that the Estonian Children’s Literature Centre reached an important milestone as a recorder of children’s book history – the Centre published a voluminous historical collection titled Estonian Children’s and Young-Adult Literature 1991–2012, which takes a look at children’s literature published during the restoration of Estonian independence. The best experts and researchers of Estonian children’s literature contributed to the collection’s creation – Jaanika Palm, Krista Kumberg, Ilona Martson, Mari Niitra, and Ave Mattheus. 2014 was the year of Edgar Valter, since September was the 85th anniversary of the master’s birth. We marked the occasion worthily. Tammerraamat published a wonderful work summarising Edgar Valter’s book illustrations (composed by Krista Kumberg) and the Centre’s Valter Gallery acquired a new look and content. An especially fantastic part of the celebrations was a creative competition, in which children searched for new characters in nature with a photo camera, inspired by Valter’s works. Now, for example, living in these tales are “Furry-Fingers”, “Grassy”, “Basket-Blossom”, and “Mr Caw”. Who these characters are more precisely and what they do can be seen at the exhibition, which next year will travel around Estonian libraries. Our building’s treasure is our collections, which this year were complemented with many new books as well as rare copies acquired at auctions. However, one special pearl of 2014 was doubtless a gift given by artist Maara Vint – her 238 original book illustrations. We are stongly dedicated to preserving and boosting children’s interest in reading, and it is our great wish for children and books to come into contact more often. These activities are so broad that they cannot be performed alone. We are glad to have found friends and supporters, whose own passions have been ignited by our ideas and have helped to carry them out. This year, 33 book trolleys were delivered to Estonian hospitals so that one colourful wheeled bookshelf might make a child’s hospital stay better. It was a great undertaking involving a lot of big-hearted people. We are grateful to charity fund “Aitan Lapsi”, Kätlin Pesur (who designed the book trolley), the Plaat Detail company (which manufactured the trolleys), all of the hospitals’ children’s wards, and children’s librarians at county libraries. Special thanks, however, goes out to Evelin Ilves, who guided the institutions under her patronage towards fantastic cooperation by way of her caring nature. The fact that force lies in working together is shown by a number of joint undertakings that we had the luck and joy to be partners in this year. The Tallinn Book Fair was held in the spring, and along with it came the “Does a Child Read?” Nordic and Baltic literary forum, which focused on children’s literature. We were able to have this enriching cooperative experience thanks to the Estonian Publishers’ Association and the Nordic Council of Ministers’ Office in Estonia. Together with the Estonian Academy of Sciences’ Under and Tuglas Literary Centre, we continued the seminar series “The Child in Literature”, which this time concentrated on Nordic children’s literature. In May, our building was thronged for three days by audiences from the Head Read literary festival; in autumn, we shared knowledge with students on the topic of children’s rights in cooperation with the Eduard Vilde Museum and the Office of the Estonian Chancellor of Justice. The “My First Striped Ones” week, which arose from this partnership, fell onto such fertile soil that it will be repeated next year. In order to make children’s free time and school lives more exciting, however, we joined forces with several museums in Tallinn’s Old Town and with NUKU Theatre. We have continued old traditions and embarked on new initiatives. The Nukitsa Competition was held for the 12th time, with over 8,000 children from around Estonia selecting their favourite writer and artist. This year, the prize went to Ilmar Tomusk and Heiki Ernits. The Raisin of the Year award already has ten years of history behind it, with the first being given in 2004; it is awarded to the most unique and surprising children’s book of the on-going year. On this occasion, the prize went to an especially sweet book – Maiasmoka atlas (The Sweet Tooth’s Atlas) compiled by Maris Pruuli and illustrated by Regina Lukk-Toompere. The work amazed and enthralled foremost in terms of its idea – to guide children to acquaint with the countries of the world through the world of sweets; i.e. a topic that will not leave a single child (nor many adults) indifferent. The book makes the world a bigger and better place, and makes its readers wiser. There are already 20 years of history behind Estonian Reading Aloud Day. This time, we read sports stories, as was proper for the topic of the year. With the support of county children’s librarians and teachers, a national read-out-loud competition was held, and was won by Valga County. In order to remind people of the importance and positivity of reading aloud more widely, however, we let five film clips sail off into the e-world. Our great thanks go to Ita Ever, Urve Tiidus, Nele Liis Vaiksoo, Raul Rebane, and Taavi Tõnisson, who supported our undertaking. When Maarja Tali walked in through our doors with her pet Susi three years ago, we could never have imagined that the meeting would flourish into the rapid spread of “reading dogs” around Estonia. Our building now has two big, loyal friends as well – Fjodor and Susi, who help children find the path to reading. The publishing of works by Estonian children’s authors abroad added thrills to the year. One highlight was the publishing of Aino Pervik and Catherine Zarip’s picture book The Wandering Cat in Italian and book releases in Rome and Bologna. Another high point was the releases of Anne Pikkov’s illustration in Péter Dóka’s Hungarian-language book The Lilac Princess in Budapest. We have been able to follow closely and be enthralled by the publishing and awarding of Piret Raud’s books in France, as well as in Japan, Italy, and Hungary. The Centre also experienced the Polish audience’s warm reception of our “Fairy Tales of the Sea” illustration exhibition. And what’s more – it was a proud feeling to attend the release of the Frankfurt Book Fair catalogue “The White Ravens 2014”, as included in the very selectively-filtered collection was Kätlin Vainola and Ulla Saar’s book Lift, as well as Anti Saar’s How Things Are With Us. These were just a few picks from the Centre’s undertakings in 2014, which were fascinating and busy, full of attempts and successes, and also the joy of giving and receiving. Readers can now also be kept better up to date with all that goes on in the Centre and the world of children’s literature by way of the Lastekirjanduse Uudistaja e-publication, which is released once a month. Even better, however, is our recommendation to come visit and personally take part in our activities. 2013 was an anniversary year for the Estonian Children’s Literature Centre (ECLC): 80 years passed since its founding. On November 12, 1933, the Tallinn Youth Library was established on the lower level of the present-day Tallinn Central Library (located at 8 Estonia Blvd), servicing children from third form through secondary-school graduates. As such, it is a joint anniversary with the Tallinn Central Library, since the Children’s Library later grew out of that collection and its employees. Round anniversary numbers give reason to cast a glance at yesterday, to evaluate today, and to think of tomorrow. And most of all – to thank the friends and supporters who have been with us on our journey. Such was the content and spirit of 2013. While the goal of the Centre’s activities remains the same (to offer children rich reading material and encourage them to read), our form and methods shift in order to be new, exciting, and surprising. Those involved in the Centre today wish to be simple and genuine – to guide children to books at as early an age as possible, and to help them locate the values embedded in reading. We believe that children’s attitude towards the printed word, literacy and an interest in reading, linguistic development, and also their understanding of and attitude towards what surrounds us all depend on their reading materials. We know that anyone granting this wish must be open and expert, investigative and curious, friendly and cooperative. This is precisely how the Estonian Children’s Literature Centre strives to act in order to carry out its high-responsibility role as a preserver and acquainter of national culture, a centre of literary development and competency, as well as a populiser of children’s literature and reading. The year 2013 offered an abundance of new books and reading cheer. Over 600 Estonian-language children’s literature titles were published, approximately 60% of which were translations. The selection of books was quite rich in terms of topics and genres; only reading materials aimed at children aged 10–14 was somewhat lacking. More high-quality, professionally done picture books were published than in earlier years. Creative competitions also reaped a bountiful harvest: winning entries in the young-adult novel competition were published over the course of the year, and the winners of the “My First Book” children’s story competition will have their turn next. Increased collection funding enabled the purchase of more books, which had a positive effect on book lending. The expansion of children’s free-time and club activities as well as growth in the number of events held at the Centre also boosted library usage. Last year was rich in terms of book gifting, foremost thanks to the artists who participated in the IV Tallinn Illustration Triennale and guests attending the Centre’s anniversary. Our deepest thanks go out to all gift-givers! The year was enhanced by several traditional undertakings, including the 20th Estonian Reading Day, the topic of which was “Let’s Read Estonian Animal Fairy Tales”; a national literary game for 3–4th-grade students; Estonian Museum Night; and the children’s programme of the Head Read literary festival. The Centre’s 80th anniversary was marked with a trip around Estonia by children’s writers and artists. Additionally, the book Sünnipäevalood (Birthday Stories) was published – the work included topical stories and poems by beloved Estonian children’s writers along with new pictures by the best local illustrators. The Centre’s collections were put on display in its Treasury in addition to being exhibited at book- and illustration fairs held in the building, elsewhere in Estonia, and abroad. One of the most unique illustration exhibitions held, “Ristipidi lood. Mese itt, mese ott”, arose from a project that brought together the Centre, the Estonian Institute in Hungary, the Hungarian Institute in Estonia, the Estonian Graphic Designers’ Association, and several Estonian and Hungarian writers and illustrators. At the beginning of the year, a voluminous traveling exhibition of Estonian illustrators titled “Etelästä tuulee. Lõunatuul puhub” (“The South Wind Blows”) was opened in Finland, comprising the works of 15 Estonian illustrators and dolls made by 20 doll artists. 2013 was likewise the year of the Tallinn Illustrators’ Triennale again, which the Centre co-organised. One of the Centre’s most important activities is the consistent familiarisation of children’s literature in all possible ways, independent of the age or interest of the target group. Good collaboration is done with schools and nurseries, libraries, and literary clubs. In 2013, we improved the educational programme aimed at schools and nurseries, and a number of study-days and seminars were held. One new undertaking born in co-operation with the Tuglas and Under Literary Centre was the annual “The Child in Literature” seminar, which focuses on the depiction of children in literary texts. Researchers from the Centre gave lectures at the event, which will appear in ECLC publications in 2014. Occupying an important place is communication with parents, teachers, librarians, and others who recommend and mediate children’s reading materials. The most significant development in this area was the opening of a new bilingual (Estonian/English) web page for the Centre in early 2013. Recognitions gladden both those receiving the nods and those giving them. The Centre’s Muhvi Award was given to children’s literature researcher Jaanika Palm for her extensive and thorough writings in the field. The Raisin of the Year Award, which recognises the most unique children’s book of the year, was given by a jury composed of Centre workers for already the tenth time – Anti Saar was awarded for his book Kuidas meil asjad käivad (How Things Are With Us). Awards were given to designers of the best-looking children’s books, and assistance was provided in selecting the Cultural Endowment of Estonia’s Prize for Children’s Literature. Preparations for the 2014 XII Nukitsa Competition began late in the year. With the help of friends and supporters, several undertakings were carried out towards the ends of making sure children and books come into contact more frequently. One of the year’s most impressive projects was born in cooperation with the charity fund “Aitan lapsi”: book trolleys holding newer children’s literature will be put in all Estonian rural hospitals’ children’s wards in 2014. For us, it is a source of joy that the publishing of Estonian children’s writers abroad is a growing trend, greatly thanks to the project “Exporting Estonian Children’s Literature to the World”, funded by Enterprise Estonia. Estonia’s most successful author is Piret Raud, although works by Aino Pervik, Andrus Kivirähk, Leelo Tungla, Kristiina Kass, and others have or will be published abroad likewise. In terms of its content, 2013 has been a worthy anniversary year and set the bar for the years to come. The Estonian Children’s Literature Centre has been and continues to be wide open to all readers and book enthusiasts both big and small. For us, it is important to shape our building and services in a way that readers are aware of the Centre and want to come visit; that readers leave more mentally enriched and joyful; and most importantly – that people wish to return. Welcome!